Harley has a very unique homepage design that features a new concept in web design known as “parallax”, where images “move” as the page is scrolled up or down. It’s really pretty cool! The Welcome area spans the width of the page, but shares half of the area with an image with the parallax effect. There are two areas for Travel Features. Highlight two important topics prominently on the homepage and then 4 additional topics near the bottom horizontally. There are additional options for the Plus and Professional packages. The Video player is large is designed into the homepage so it flows with the other elements perfectly. There is an area for a message next to it. The Testimonials are located below. Three are included with Standard, five with Plus and unlimited with Professional. 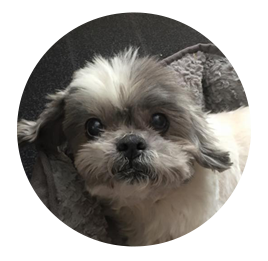 The Harley theme was named after an adorable, lovable senior Shih Tzu we adopted at 13 years old. He was deaf and needed a home so we welcomed him into our home of Pomeranians! He immediately felt right at home and became pampered in total luxury from that day on.